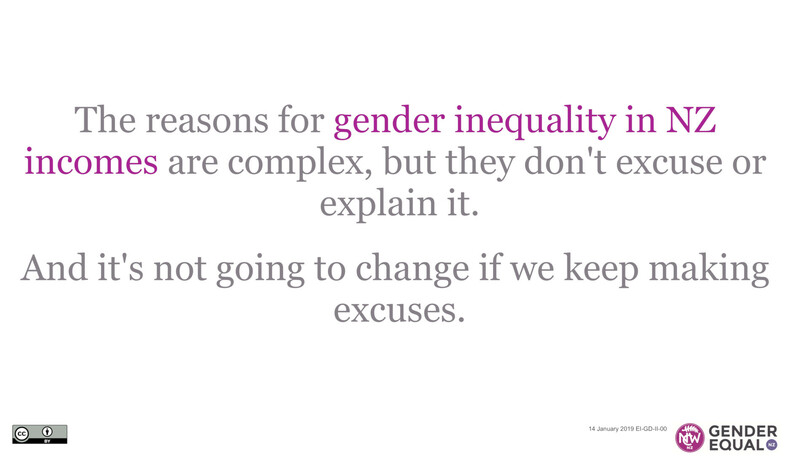 The reasons for gender inequality in NZ incomes are complex, but they don’t excuse or explain it. And it’s not going to change if we keep making excuses. 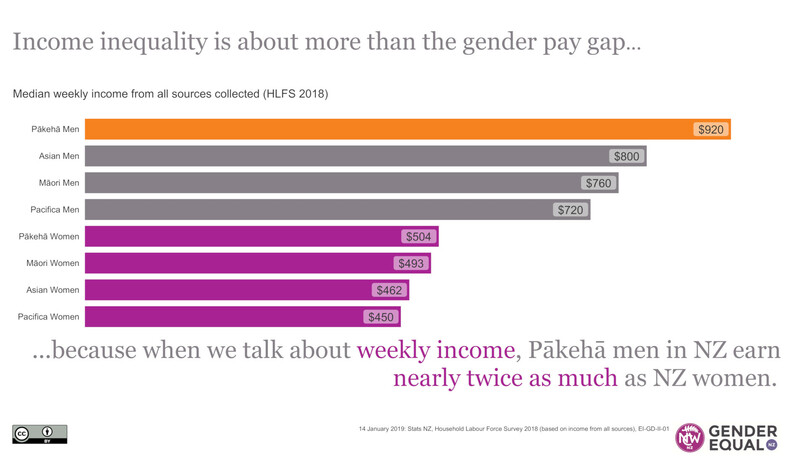 Income is about more than the gender pay gap, because when we talk about weekly income, Pākehā men in NZ earn nearly twice as much as NZ women. Bar graph showing the median weekly income from all sources collected in the Stats NZ Household Labour Force Survey 2018 is $920 for Pākehā men compared to $504 for Pākehā women, $493 for Māori women, $462 for Asian women and $450 for Pacifica women. 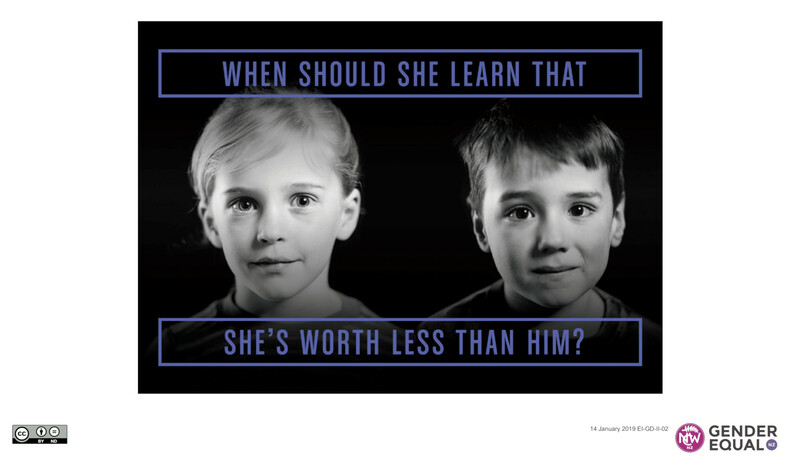 Picture of a boy and a girl with the text: when should she learn that she’s worth less than him? 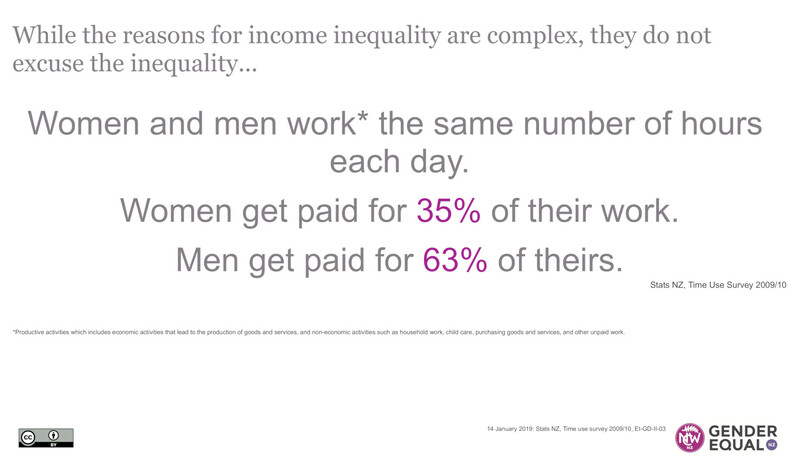 The reasons for income inequality are complex, but they do not excuse the inequality. Nor do they explain it. 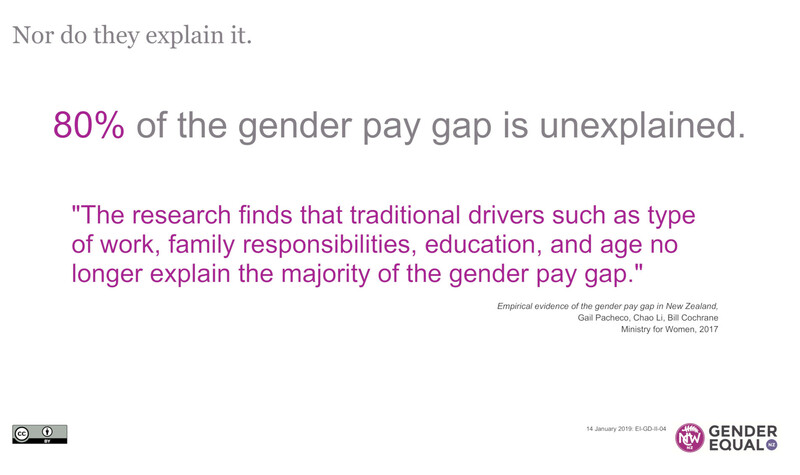 80% of the gender pay gap is unexplained. “The research finds that traditional drivers such as type of work, family responsibilities, education, and age no longer explain the majority of the gender pay gap.” Empirical evidence of the gender pay gap in New Zealand, Gail Pacheco, Chao Li, Bill Cochrane, Ministry for Women, 2017. 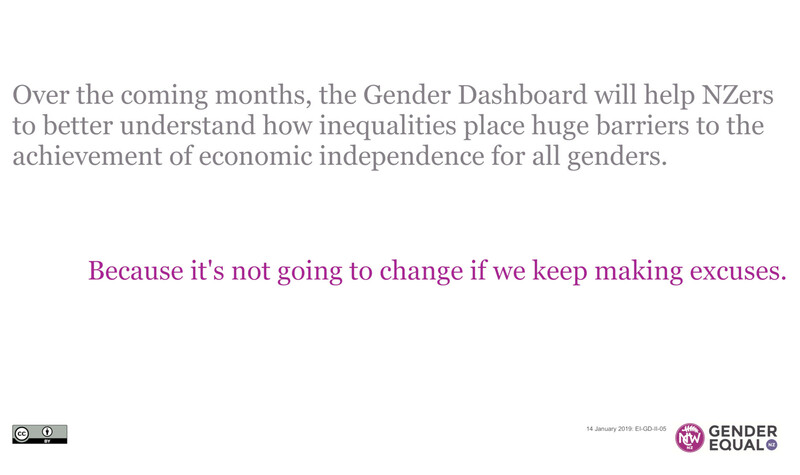 Over the coming months, the Gender Dashboard will help NZers to better understand how inequalities place huge barriers on the achievement of economic independence for all genders. Because we’re not going to change it if we keep making excuses. Data sourced from: Gail Pacheco, Chao Li, Bill Cochrane, Empirical evidence of the gender pay gap in New Zealand, Ministry for Women, 2017, page 4.